We have a small number of items available at clearance prices. In all cases, once they are gone, they are well and truly gone...! Prices include VAT and carriage to UK addresses only. A small order charge of £2.00 will apply to orders under £15.00 in value. Delivery to overseas addresses will incur an extra postal charge, as items will be sent by Airmail International Signed For post. Extended length cutter suitable for cutting plastic foam. Also suitable for other materials. 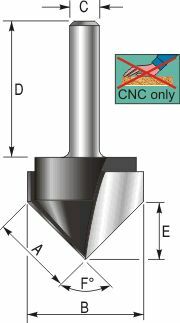 A Right Hand rotation TCT V point drill for use in CNC machines. Exceptionally available due to a cancelled order. 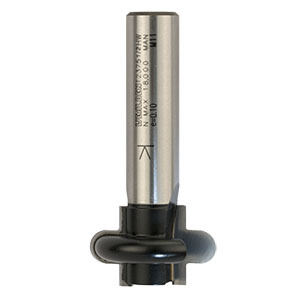 This extended flute cutter produces a deeper flute than the standard staff flute cutter. 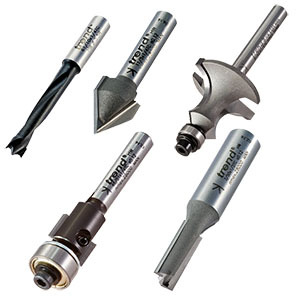 A range of Forstner Bits manufactured in high carbon steel and with sawtooth cutting edges. 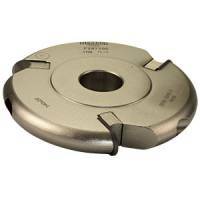 These cutters will produce clean cut flat bottom holes which can be over-lapped to clear larger areas. This type of bit is fast cutting and will cut across the grain or with the grain in all natural timbers. Not suitable for man made board such as MDF. Not for use in routers. These bits may be easily re-sharpened with a fine file. 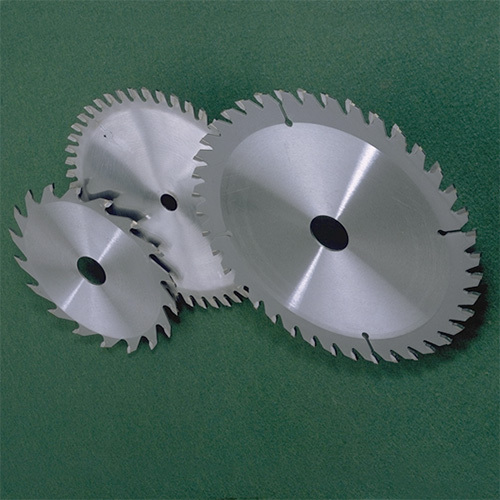 Two flute TC tipped side trimming cutter. Two flute TC tipped side trimming cutter with an arris round over. A TC tipped two flute engraving cutter which will have a small flat of 0.75mm on the bottom. Two flute TC tipped engraving cutters which will have a small flat of 0.75mm on the bottom. Various angles and shank sizes. Shank markings incorrect. Not guaranteed. A Right Hand rotation multi-boring dowel drill, suitable for use in single and multi-head boring machines. The drill has a 10mm shank which incorporates a flat for secure location and a grub screw in the shank end for precise height adjustment. Solid Tungsten Carbide tips make the drills suitable for use in solid timbers and man-made boards. Drill has 60° V point for through hole drilling. A Left Hand rotation multi-boring dowel drill, suitable for use in single and multi-head boring machines. The drill has a 10mm shank which incorporates a flat for secure location and a grub screw in the shank end for precise height adjustment. 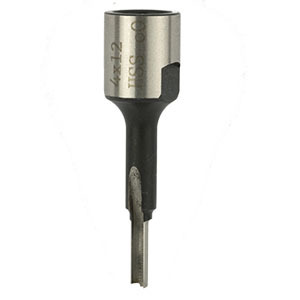 Solid Tungsten Carbide tips make the drill suitable for use in solid timbers and man-made boards. Drill has 60° V point for through hole drilling. Elu guide bush tube . 30mm diameter x 35mm long. Elu code E40220 for Elu 177/177E routers. 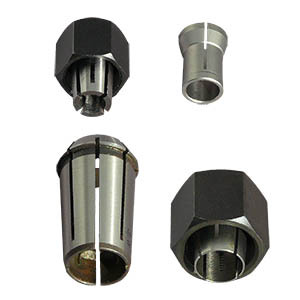 Please check that the collet is suitable for your machine. All knives and limitors are sold in pairs. 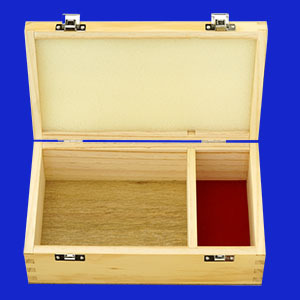 Wooden storage box with removable holders for 24 x 1/4" shank router cutters and side compartment for storing small items such as bearings, Allen keys etc. Could easily be adapted to other uses.